Welcome to the Hidden Heritage Series! Immerse yourself in a world of mystery and magic as Tabitha Devins delves into the secrets hidden about her past. Tabitha Devins was determined to leave the island of Porta Negra and her mother’s secrets behind her and head off to college. As her dream of escaping island life approaches, her mother disappears. Tabitha delves into the mystery of her mother’s past and finds a world she never knew existed and a race of magical people with abilities much like her own. She finds herself caught up in a whirlwind of intrigue as she discovers that others are also seeking her mother…and her. 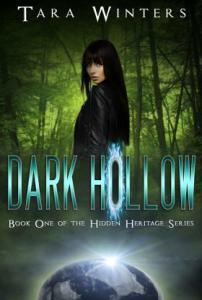 Book 1 of the Hidden Heritage Series Dark Hollow is now available on Amazon, Kobo and Barnes and Noble . Get your copy now! After eighteen years, Tabitha Devins is finally going to meet her father. Antoine Montfort is a charming and engaging politician that governs Chandolyn from the capital of Windrift. Tabitha finds herself a prized and adored daughter treated like royalty within her father’s home. She is lavished with clothes and jewels and soon is immersed in a life as a pampered princess. All is not what it seems as she begins to dig into the inconsistencies behind her father’s reminiscence of his time with her mother and the tales being told to herby others. As she struggles to find the truth behind her parent’s time together, dark rumblings from within her father’s estate begin to entwine her in a snare that she may not be able to escape. Her father’s solicitous attitude begins to darken as he suspects she may want to leave and as she strains with the shorter leash that her father is holding, Tabitha finds her ability to go home being tested and even Luc’s loyalty comes into question as the trap set for her is sprung. 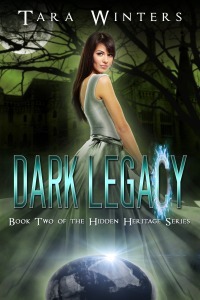 Book 2 of the Hidden Heritage Series Dark Hollow is now available on Amazon. Get your copy now! Tabitha Devins was not sure things could get any worse. Her venture through a portal into a new world to find her mother has taken a deadly turn. She is being held hostage by her father and kept imprisoned with a man she hates and her options seem limited. 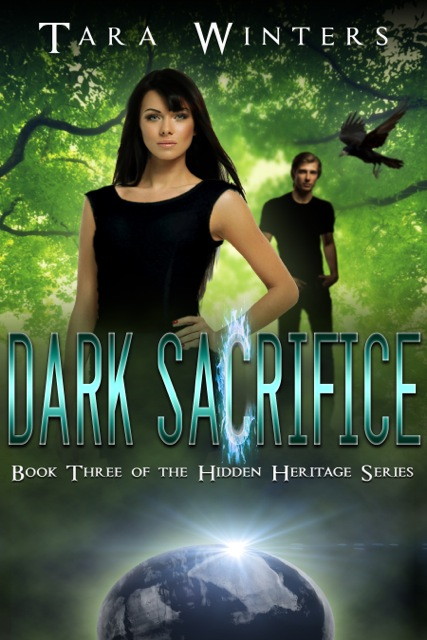 Her mother’s brief appearance has left her with the task of finding out how her father and older brother manage to control the deadly black elves that are ravaging the world. As she delves into the truth behind the black elves, she finds a strange tie to her own world and realizes that the answer to saving this world may lie back home. As the death toll rises, father raises the ante and challenges her to either acquiesce to his demands or one by one, lose all she loves. Her time is running out and she has to put her trust in someone and the only option seems to be the man who betrayed her. Tabitha finds herself caught in an elaborate web that will take all of her courage and her budding powers to break free. Escape seems the only option but the noose is tightening. She finds herself tapping into powers that she has spent a lifetime hiding. She learns that making allies with people she cannot trust seems to be the key to negotiating her way to freedom. Read the teaser for Book 4. Click on the Book link of this page! Tara Winters lives in a suburb of Boston, Massachusetts with her husband and daughter. When not dragging the dog on walks, she is hard at work on the next book in the Hidden Heritage series.